Rebecca’s rich experience at Microsoft and as an entrepreneur brings invaluable technical and leadership expertise in the development of enterprise-class platforms," said Scott Case, COO of EnergySavvy. EnergySavvy, the cloud solutions company that helps utilities transform through modern customer insights, engagement and operations, announced today that technology industry leader Rebecca Norlander will join its board of directors. Ms. Norlander brings strong technical and product acumen to the board which also includes Tom King, the former CEO of National Grid and chair of Alliance to Save Energy, as well as venture investors from GXP Investments, EnerTech Capital, Prelude Ventures, and Pivotal Investments. 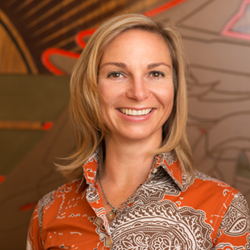 Currently Ms. Norlander serves as CEO of Samepage Health, and was CEO and founder of Health123. Prior to that, she has served in a variety of technical leadership roles at Microsoft including Windows XP leader, and as chief of staff for Ray Ozzie, then Microsoft’s Chief Software Architect. Last year, EnergySavvy completed a Series D round of $14 million in equity financing, bringing the company’s total financing to over $27 million. GXP Investments, the investment affiliate of Great Plains Energy and the parent of Kansas City Power and Light Company, was the lead investor with Inherent Group, Prelude Ventures, and EnerTech Capital also contributing.